Are there any good books about food and cooking without the food and cooking? Non-cooks in search of a book about food and cooking without the food and cooking need look no more. In fact, the book of our dreams was first published in 1961 and then re-issued by New York Review Children's Collection in 2010. 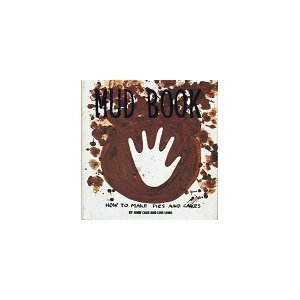 Mud Pies and Other Recipies by Marjorie Winslow -- with charming illustrations by Erik Blegvad -- is an ode to using what you have and making up what you want to do and how to do it. Mud Pies is about food and cooking but with no food and no cooking in sight, and because of this fanciful absence, in spirit the book is about other things, too: the nature of creativity and imagination; the way little worlds can fit into big worlds; reality as a flexible thing. In the introduction, Winslow says that Mud Pies is a cookbook for dolls, and also that "...if a recipe calls for a cupful of something, you can use a measuring cup or a teacup or a buttercup." It is wonderful to think that words can be used as cooking tools in this way -- gives new meaning to the whole idea of substitutions and makes it seem less meaningless to be using wishful thinking as a seasoning in everyday life. It's wonderful that a volume that's like a recipe book can also be like a poetry book or like a collection of little dreams. Here's an especially good entry entitled Fried Water: "Melt one ice cube in a skillet by placing it in the sun. when melted, add 1 cup water and saute slowly -- until water is transparent. Serve small portions, because this dish is rich as well as mouth watering." Here it is also well to mention another book in the not food and not cooking genre, Mud Book: how to make pies and cakes by John Cage and Lois Long. Apparently Cage the composer and Long the designer worked on the idea for the book all in a tizzy after a dinner at some point during the 1950s. Some time later, the drawings and text were made into a silk-screened limited edition volume, but then in 1988 it was published in a more regular way by Harry N. Abrahms, Inc., and made more widely available. That edition is a small, cute, square book with very think pages and simple, blocky illustrations. It's about how to make a mud pie and also a mud layer cake. This book is good, but it's a little on the proscriptive side, and even if it might also be a satire or something about art and making things in general, it is actually mostly about making those two things out of mud. That said, Mud Book does have a very good last line (spoiler alert!!) "Mud pies are to make and to look at not to eat." This is actually also the way some people feel about marzipan.